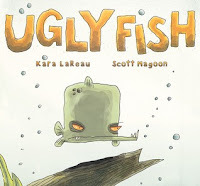 Ugly Fish by Kara LaReau, illustrated by Scott Magoon. Harcourt Children's Books, 2006. So, this is one of my hands-down favorite readalouds. I have read this every year to my afterschool groups and I keep bringing it back because I have an awesome Ugly Fish voice and I just love reading it so much. I figure it's good to let kids know they can reread favorite books. And also they love it, too, because the story's funny and has a bit of a surprising ending. The Librarian from the Black Lagoon by Mike Thaler, illustrated by Jared Lee. Scholastic Paperbacks, 1997. Confession: I brought this one along because I feel like one of my groups is sometimes The Group from the Black Lagoon. That group loved this book and sat more quietly for this book than any of the others. 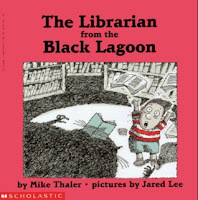 My other group liked it, but neither group was a huge fan of the ending (where we find out that the librarian is actually nice and not scary). What can I say? They like the dark endings (me too)! Let's Go for a Drive! 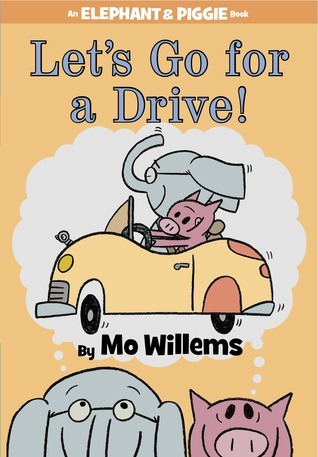 by Mo Willems. Hyperion, 2012. Our afterschool kids are generally HUGE fans of Elephant and Piggie and when I read this one I knew it would be a great readaloud! The structure is similar to I am Invited to a Party, with Elephant thinking of all the things he and Piggie will need for their drive. Of course, they forget one very important thing... a car! A huge hit. Our craft this month was scratch-art dragons to celebrate Chinese New Year, which is coming up on February 10. (I think I bought them on sale last year after the holiday!) I asked if anyone knew anything about the holiday that they wanted to share and told them a few facts about it. The kids have gotten into the habit of trying to pull off the plastic coating on their scratch art so that they have a rainbow-colored cardboard shape instead of scratching a design in it. Of course that's fine if that's what they want to do with it, but it's not much of a craft and certainly doesn't inspire any creativity! So, I made a sample dragon and demonstrated some different techniques they might want to use (making scale patterns, dots, stripes, scratching off certain features like spikes or claws, etc.). That helped somewhat. We're going to get out of our scratch art groove next month, though. Miss Abby needs a little something different!